If you were a road racer in 1994, this was a bike to lust after. 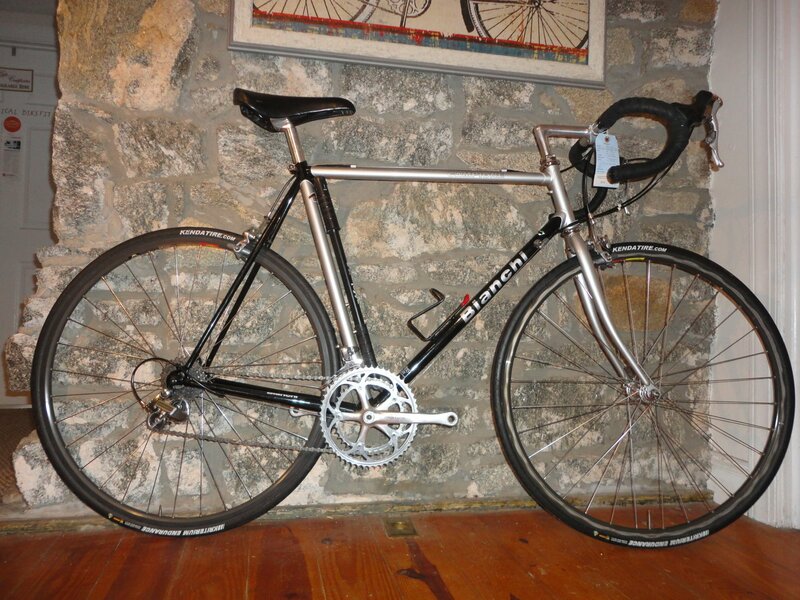 And it still is thanks to its flawless condition, DuraAce STI group including hubs laced to Mavic Open Pro CD, and Cinelli stem and handlebar. Price is somewhat negotiable - ask Jeff all about it.